As a sort of membership program, association, and philanthropy group all in one, the needs of a Greek organization are unique among nonprofits. That means your management and payment software should be specifically designed to address those needs. Accepting and processing dues is one of the most important functions your fraternity's software needs to accomplish, so it's crucial that you find the right fit. With the right tools on your side, your fraternity can boost its revenues and keep its finances more organized than ever! Read through these top fraternity payment processing systems to discover more about their features. One of them is sure to be a perfect solution that addresses your organization's exact needs. Salsa's platform offers the most comprehensive yet user-friendly data management tools on the market! This includes an efficient payment processing system and suite of online fundraising tools designed to make collecting dues and donations easier than ever. As a comprehensive suite of digital nonprofit fundraising and management tools, Salsa Engage is a perfect choice for practically any organization. This is especially true for fraternities, nonprofits that engage their communities in all kinds of ways. Packages of Salsa's software are customized to the size and needs of each organization, so prices vary. Reach out for a custom quote if these features sound like a smart move for your fraternity! Check out Salsa's nonprofit management and payment tools. Designed to be a comprehensive management tool for fraternity chapters of all sizes, OmegaFi is an excellent choice if you need new payment processing tools. With access to clearly defined tools and portals for dues, rent, fee, and donation collection, chapters using OmegaFi have reported a 21% increase in revenue after just 2 semesters! Plus, OmegaFi offers strong management tools to help your chapter run more efficiently than ever. Most importantly, OmegaFi's suite of tools covers practically every financial processing or reporting need your fraternity might have. OmegaFi's payment processing and fraternity management platform is customized based on the number of brothers in your chapter, so prices will vary. Contact OmegaFi to discuss your exact needs and request a customized quote! Check out OmegaFi's leading fraternity payment and management tools. Fonteva for Associations can be an excellent choice for national organizations because it's built to handle the needs of large social and professional associations. Fonteva is a heavy-duty (but user-friendly!) solution for large fraternities that need efficient dues and payment processing, plus data reporting, event planning, and mobile app options. 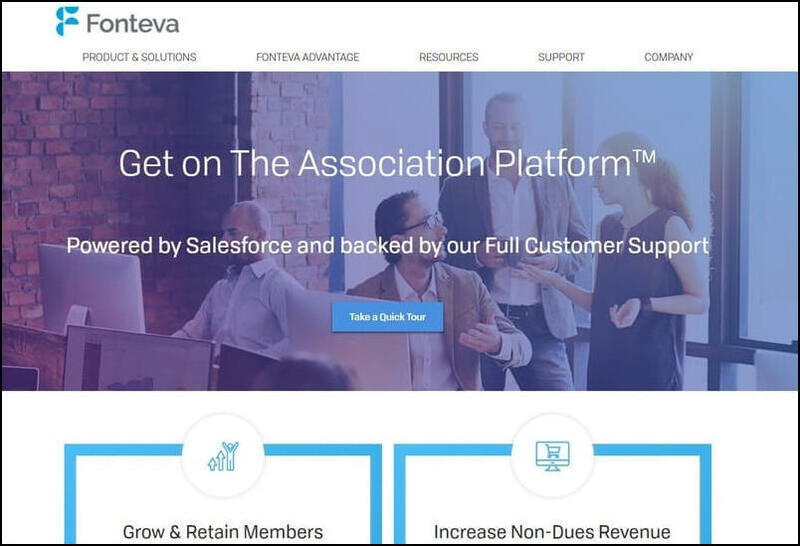 Built native in Salesforce, a leading CRM for organizations and businesses of all sizes, Fonteva is a surefire way to get your fraternity's finances, collections, and management in order. If your fraternity is due for a software overhaul, research the ways that a strong association management software like Fonteva might be a smart move! The cost for Fonteva for Associations is highly customizable depending on the number of users and the amount of cloud storage your system will need. Contact Fonteva to discuss options and request a customized quote for your organization! Check out the Fonteva for Associations management and payment system. Wild Apricot is an extremely efficient choice if your fraternity chapter is looking for a streamlined payment processing and management system. 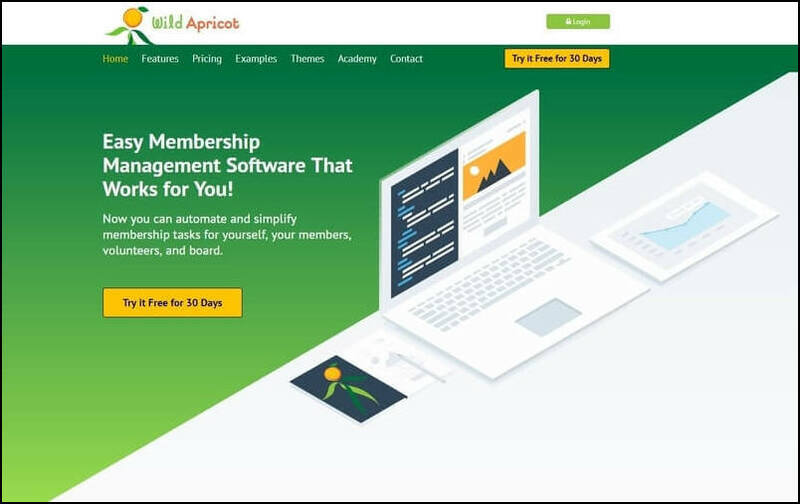 As one of the most flexible membership platforms on the market, Wild Apricot provides software and tools for a huge variety of groups, including professional associations, churches, nonprofits of all sizes, social clubs, and Greek organizations. With a diverse range of tools and excellent customer service, Wild Apricot is a great choice for smaller chapters looking for a cost-effective management and processing solution. Lightweight and rich with tools, Wild Apricot could be the perfect solution to any issues your chapter has experienced with payment processing platforms in the past. Wild Apricot offers a range of tiered pricing levels depending on the number of users you'll need to incorporate into the system. Best of all, it's free to start using the platform! Your fraternity will just pay a transaction fee for each payment processed. Explore Wild Apricot's management platform and payment system. 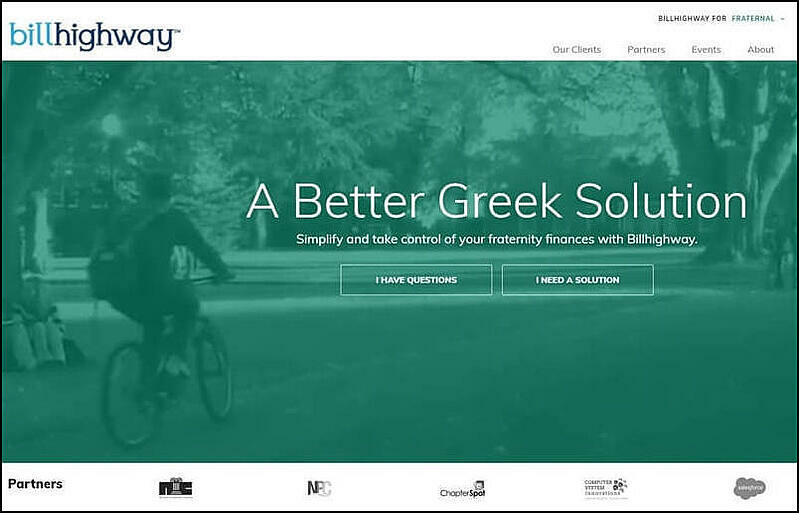 As a management and payment processing platform, Billhighway focuses its tools in only three areas: associations, labor unions, and Greek organizations. 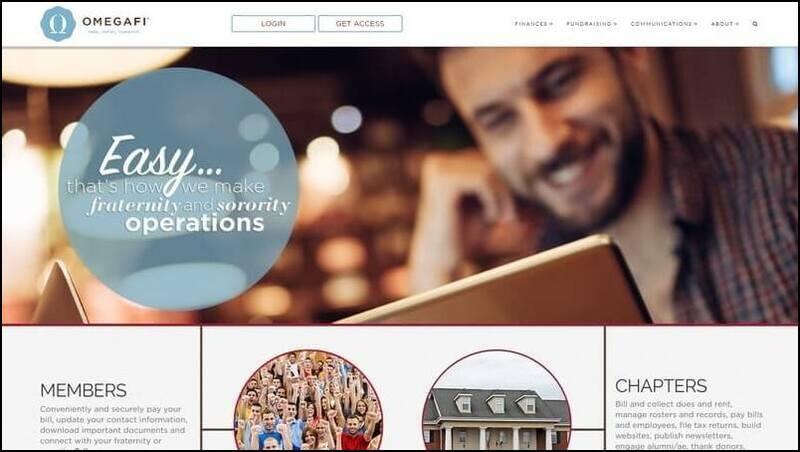 This means that their suite of tools is truly optimized to address the unique needs of fraternities that need to collect dues, manage data, and provide accurate financial reports. Billhighway works with their clients as partners rather than as customers, helping your chapter eliminate the tedious manual tasks of payment collection and data analysis, saving your fraternity time from the get-go. Prioritizing transparency and simplicity, Billhighway is an excellent choice for smaller fraternities looking to institute some healthy financial habits as they grow. As a customized suite of processing and management tools, the cost for Billhighway will vary according to your fraternity's exact needs. Contact Billhighway for more information or to request a custom quote! Check out Billhighway's fraternity payment tools. Founded by fraternity brothers who experienced firsthand the challenges faced by chapter officers, particular treasurers, Greek Capital Management is designed to be an effective all-in-one solution for chapters looking to drastically simplify their financial operations. As a management service, Greek Capital Management takes over the routine tasks of your chapter's finances, leaving you more free time to plan events and bond with your brothers! As a simple solution for fraternities that want to take all the guesswork out payment processing and financial reporting, Greek Capital Management might make a great partner. Since Greek Capital Management is a fully customized suite of financial services, the cost will vary depending on your fraternity's exact needs. Contact them to discuss a quote or schedule a demo! Explore Greek Capital Management's fraternity services and payment system. 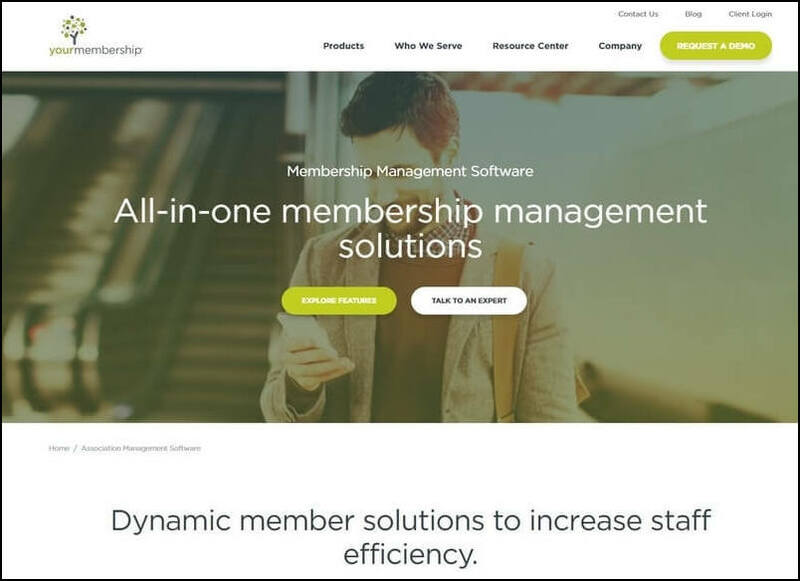 With an emphasis on efficiency, YourMembership is a great option for larger fraternity chapters in need of comprehensive processing and management tools. Designed to streamline operations wherever possible, YourMembership could be a valuable tool in the hands of dedicated chapter officers. Plus, YourMembership's tools are all cloud-based, meaning you'll never need to worry about losing your important chapter data or being unable to access it. YourMembership can help to automate elements of your fraternity's operational workflow, making the whole team more efficient overall. YourMembership's starting package begins at $292 a month, including up to 1,000 members and 3 administrators for your chapter's account. Contact them for more information or to discuss more customized options! Explore YourMembership's nonprofit management and payment tools. 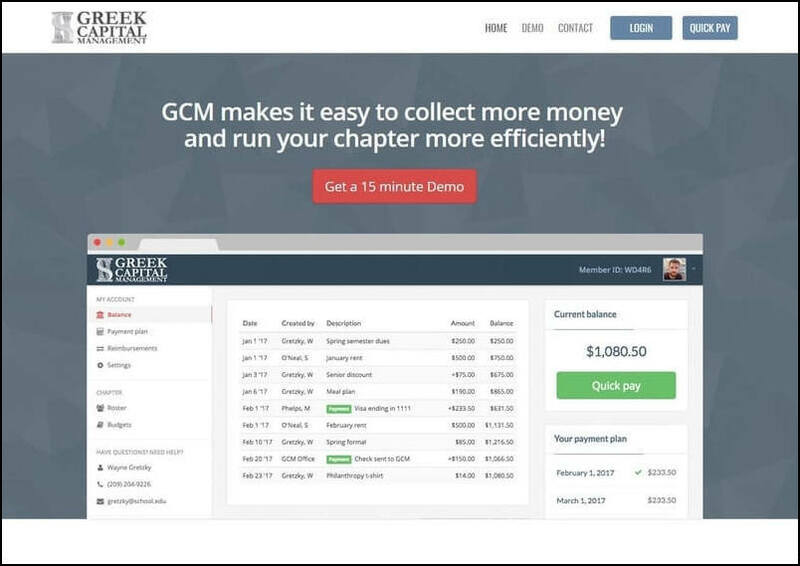 Focused on providing streamlined tools that address the exact needs of Greek organizations, GreekTrack is a strong choice for any chapter looking for an easy to collect payments and manage operations. Plus, GreekTrack provides each user with exactly the data views that they need. Membership, treasury, and philanthropy leaders will have easy access to the tools they need. As a lightweight but fairly comprehensive management platform, GreekTrack is a great choice for smaller chapters. 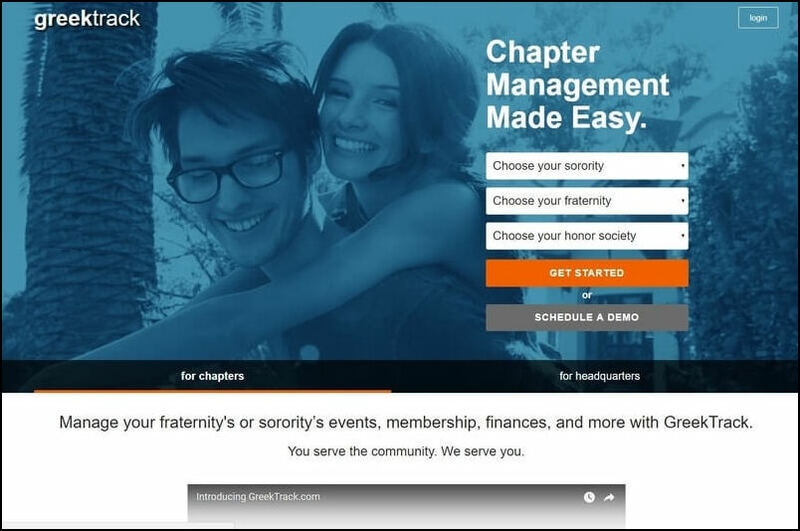 With powerful and intuitive tools specifically designed for Greek organizations, GreekTrack could be a great way for your chapter to quickly streamline its operations. GreekTrack is a particularly affordable management and payment processing solution for smaller chapters. Its most popular plan costs on $4 per member per semester and includes customizable website hosting tools. Explore GreekTrack's fraternity payment system. If your fraternity chapter needs an updated payment processing system or suite of management tools, the choices can be overwhelming. Depending on the size of your chapter, your budget, and your exact needs, there are tons of options to choose from. These top 8 picks represent the best platforms available across the spectrum, from heavy-duty association management tools to smaller-scale lightweight solutions for smaller groups. Our Guide to Buying Event Fundraising Software. Fundraising events are a staple of Greek organizations. Before investing in planning software, consider all your options. 14 Fraternity and Sorority Fundraisers from OmegaFi. Raise some funds for your fraternity's budget or contribute to your chapter's philanthropic mission! 5 Social Media Tools for Savvy Nonprofits. Check out our tips for boosting your organization's social media strategies and attracting more support.